What is a quotation? 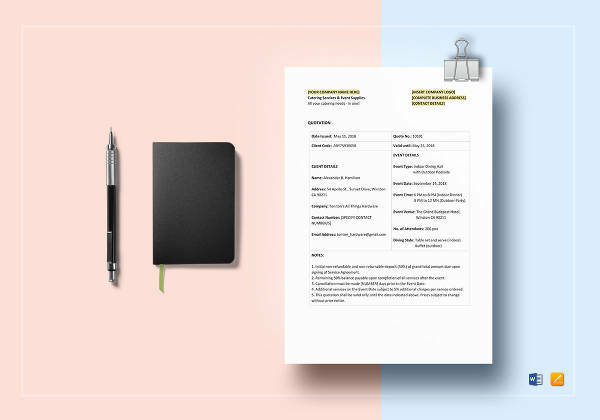 A quotation is an important document sent by a seller to a potential customer that lists the prices of particular goods and services before a buyer decides to purchase them. 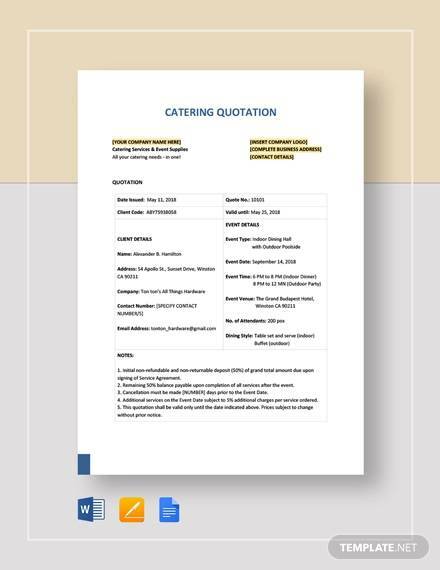 The use of quotation in a catering service is important in order to secure a client. 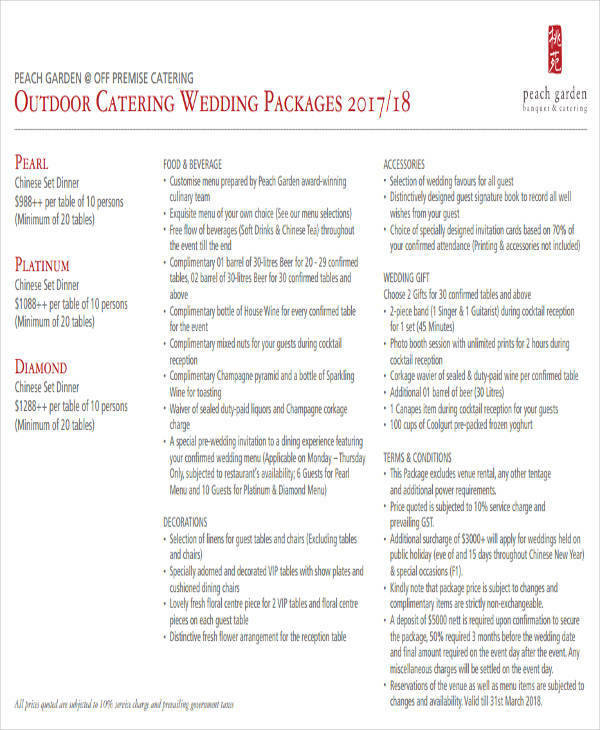 A catering quotation is an agreement between both the catering service provider and the client. If you are running a catering business, the sample catering quotations available will be very useful to you. You will be able to use it to gather quotation format ideas, which can be essential when formatting your quotation. Before writing a catering quotation, it is important to understand the elements that go into one. You may use our free sample quotations as reference when making one. 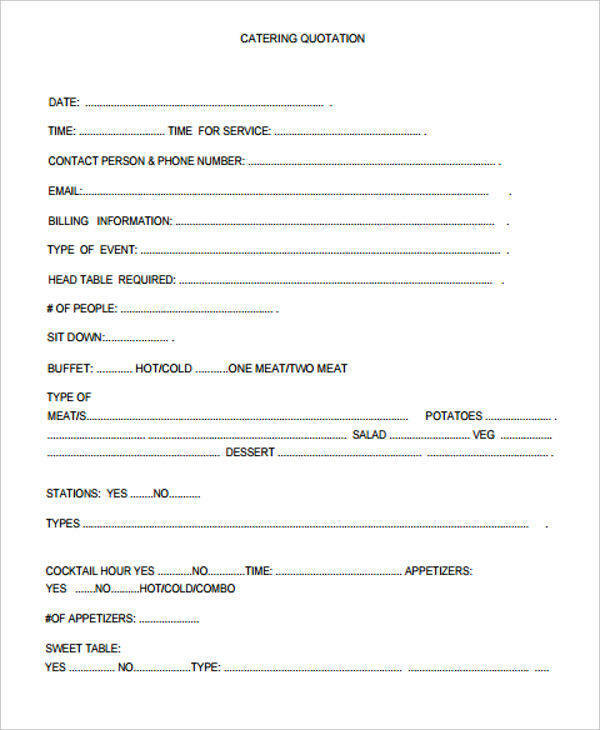 Create a cover letter for your catering quotation. This should specify the type of event, the date, the venue, and the number of guests that are going to be expected from the event. 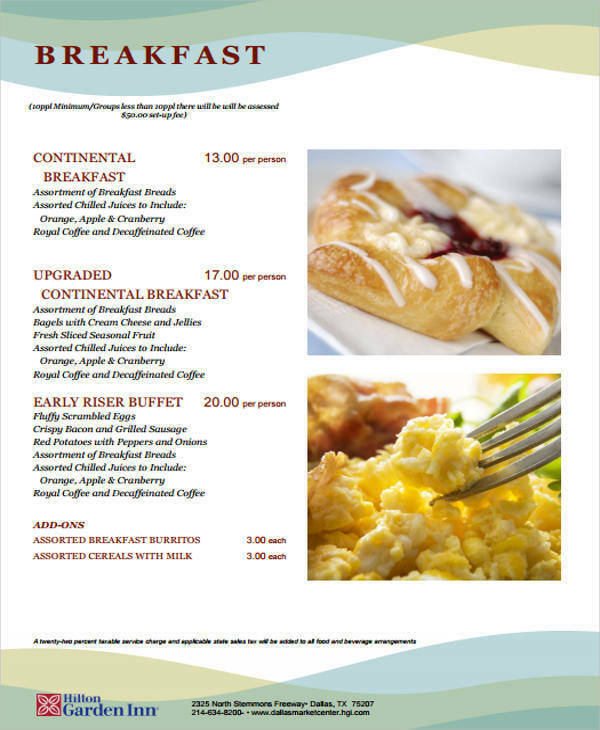 Write the menu and their estimated cost. Indicate the menu that you are going to be serving including the prices of each platter of food, the prices charged per head, and the total cost of the whole menu. 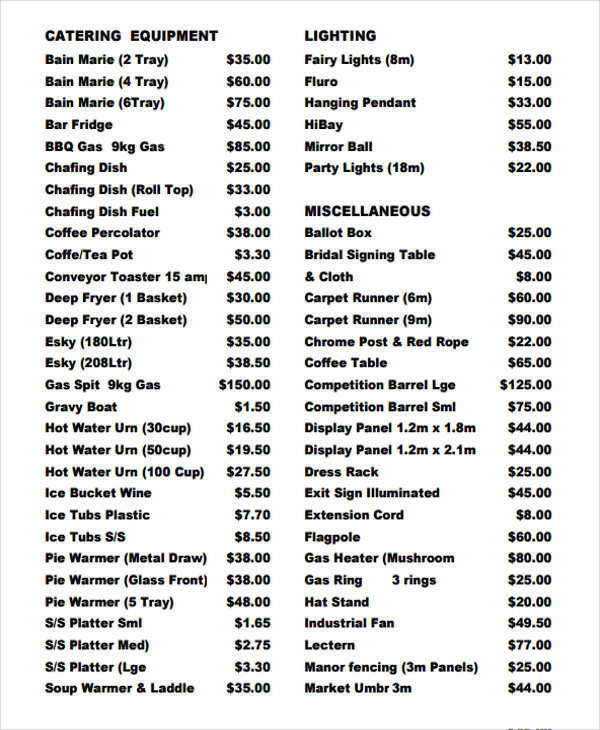 Also include the cost of utensils, dinnerware, and other equipment rented for the event. 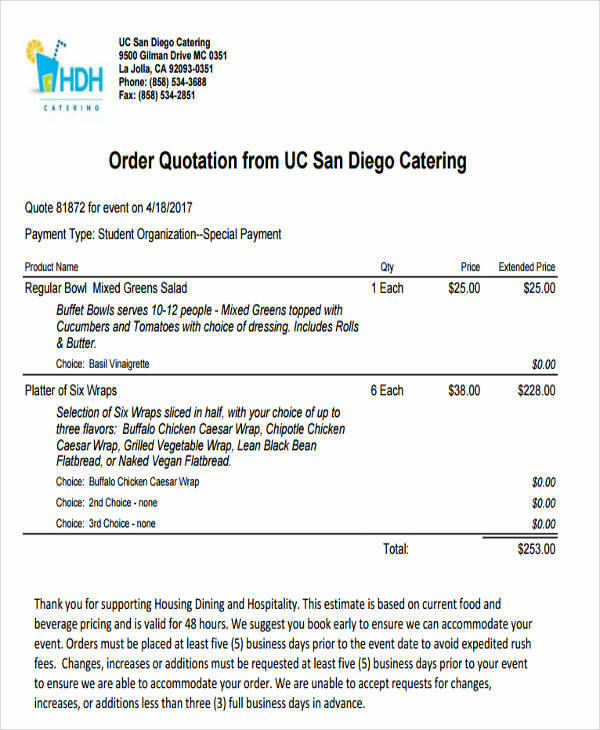 Fees such as the labor cost, delivery fee, rental fee, and other fees that you may be charging should also be indicated in your catering quotation. 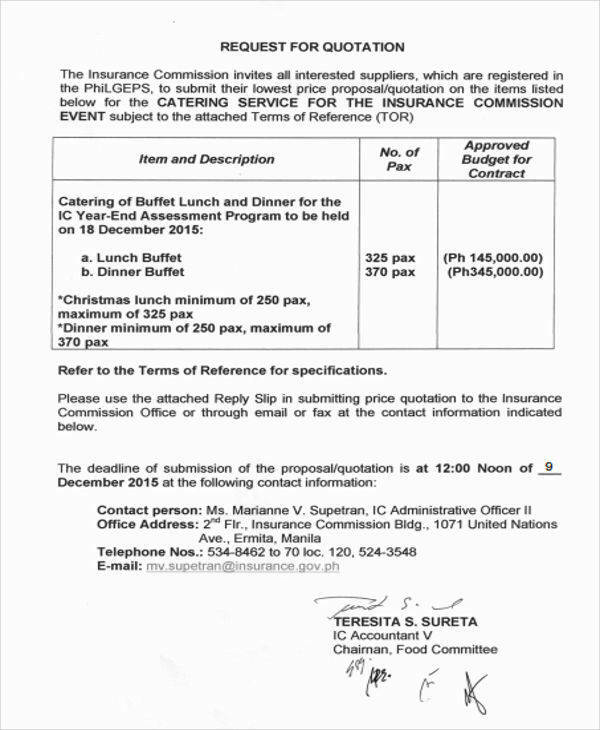 Add up all the fees and charges in order to come up with the total amount. Indicating this will help your client understand which services are being charged. 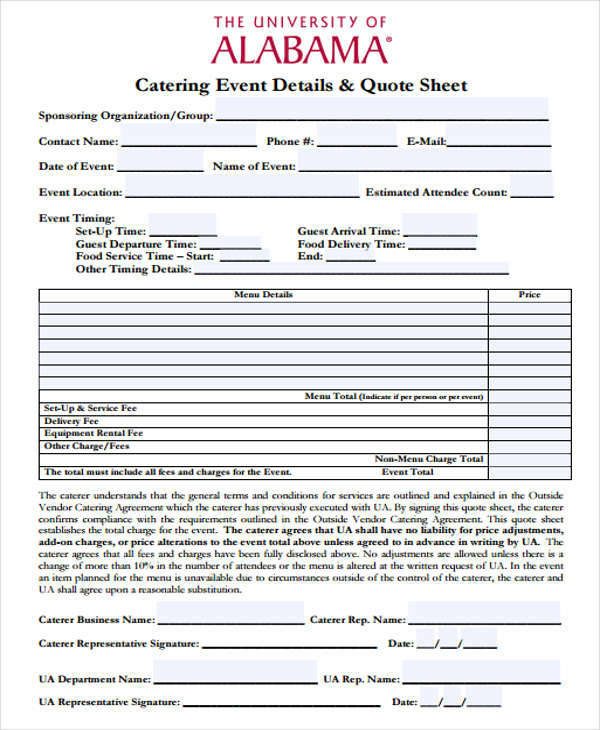 Your catering quotation should not only include the estimated price but also the terms and policies such as the minimum number of guests, the duration of the event, cancellation policies, down payment, and the payment methods. Know the class of people attending – it is important to know the type of guests that you are going to be catering to. This will allow you to quote accurately since different classes have different demands. Amount of people – it is essential to know the number of guests for a specific event. This will allow you to create a menu enough to cater to all of the guests. Meals – when creating a catering quotation, knowing the type of meals your client prefers is necessary. This is important if you want to meet the demands of your client. Location – knowing the location of your client’s event is also important. For example, if your client’s venue is located at a farther distance, you can add more to your quotation to cover for the transportation expenses. Duration – it is also important to know the duration of a particular event. If an event that you are going to be catering to lasts for a number of days, this will give you an idea on how to quote your client. Additionally, if you need a quotation for your business, business quotation templates are available.